Robert Banda whistled a shrill note and waved a small fish over his head in the dusk descending on Lake Malawi. 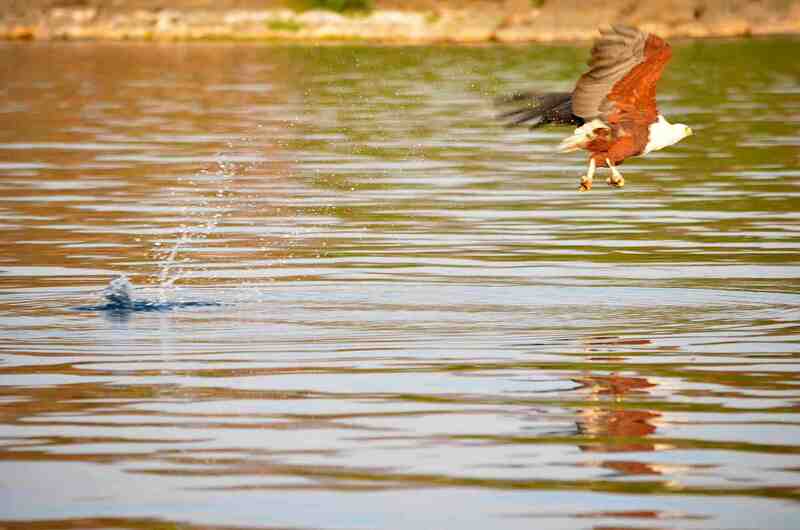 He tossed the fish out as bait and a pair of Fish Eagles smoothly dived towards it, their talons piercing the lake’s surface with a splash. Banda has worked the lake for 11 years as a tour guide in the tourist village of Cape Maclear. He recalled the area’s evolution while sitting on the bow of his brightly painted boat. The water transformed from a shimmering gold to a royal purple as he spoke and the tangerine sun gave up on the day. “We had no electricity. We had no clinic. We had no primary school. 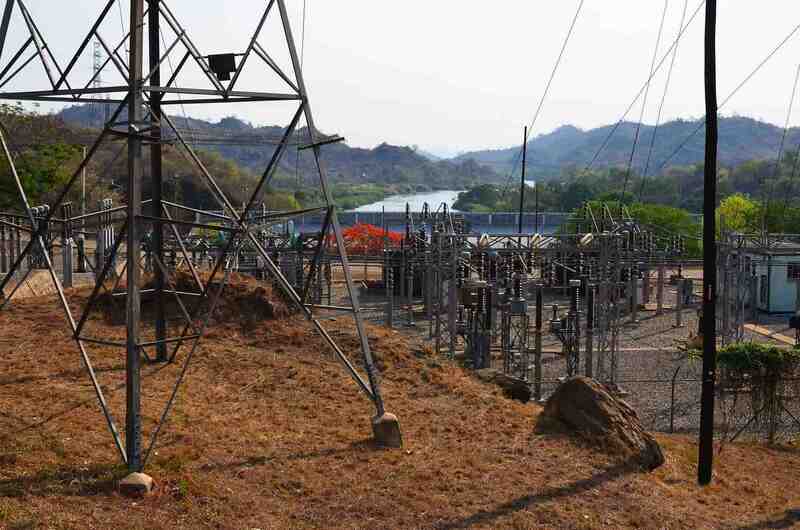 Many things we didn’t have that time, but things have been changing, changing,” Banda said, describing the foreign aid that helped expand the power grid, bringing relief to villages such as Cape Maclear. Malawi – the world’s poorest country, according to the World Bank – is struggling to find balance among the demands of agriculture, development and a healthy environment. The country is investing in a huge expansion of agricultural irrigation, putting the lake under pressure. Meanwhile, the future of downstream hydropower faces increased uncertainty in relying on the unstable lake. The several-million-year-old lake is home to about 1,000 fish species – more than any other lake on the planet – and an estimated 95% are endemic. Together, the African Great Lakes hold a quarter of the Earth’s surface freshwater. But they are in danger, threatened by climate change and overuse. In Lake Malawi, the water temperature is increasing while the lake level drops. About 83% of the lake’s annual water loss comes through evaporation, leaving the lake sensitive to outside influences such as rainfall, as it does not have a strong buffer of rivers and streams. December 2015 experienced the lowest lake levels since 1997, when electricity was rationed throughout the country because of the resulting deficient downstream hydropower production. “Malawi is facing increasing frequencies of droughts, dry spells and floods. If we can have organised systems of irrigation, we can sort out these problems,” said Geoffrey Mamba, director of the Department of Irrigation. Led by a parastatal called the Green Belt Initiative, Malawi is in the midst of ambitious plans to fight poverty and hunger by irrigating as much arable land as possible. The country already has 104,000 hectares involved in irrigation schemes and has identified a total of 408,000 hectares that can potentially be irrigated. That would account for more than 4% of total land area. According to Mamba, irrigating one hectare in Malawi consumes about one litre of water per second. That means the current irrigation schemes around the country together consume enough water to fill 150 Olympic-sized swimming pools every hour they operate. The Shire River runs through southern Malawi and handles all the lake’s outflow. Between about 1900 and 1935 the outflow dried up, and the river nearly disappeared again in 1997. It is unclear to what extent irrigation has directly caused lake levels to drop over the past decade, but irrigation has undoubtedly affected hydropower. Steven Kayira is the manager of the Nkula Power Station on the Shire River, the first of three cascading hydropower plants on the river. He said unusually low flow on the Shire has kept the plant operating around 60% to 65% capacity, and the detritus of riverbank agriculture has been clogging and eroding turbines. The country generates more than 97% of its electricity through hydropower on the Shire and has insufficient electricity production to support the use of pumping in most irrigation schemes. Instead they use furrow irrigation, in which uncovered and unlined channels dug in the dirt direct water with the help of gravity. This inefficient form of irrigation keeps many farms near the shores of Lake Malawi and the Shire River. “People farming along the riverbanks create issues of erosion, so that erosion brings silt to the power stations,” Kayira said. The silt also loads the lake with nutrients. “There’s the likelihood of sedimentation, meaning you would also get [nutrient] enrichment. All the fertilisers that they apply would eventually end up somewhere and most likely the lake,” Msiska said. A vicious cycle forms when the fertiliser runoff stimulates weed growth, which leads to suppressed energy production. With intermittent power production and inefficient energy transmission infrastructure, Malawians turn to alternate forms of energy. Much of the countryside has been stripped for firewood and charcoal, leading to further erosion and river siltation. Oil exploration licences have also been granted to several companies, which are waiting for final approval to begin work on the lake. Daniel Jamu directs the USAID-funded Fisheries Integration of Society and Habitats Project, which studies the lake’s biodiversity and fisheries. He said a combination of overfishing, habitat loss and nutrient-loading greatly affect the lake’s fish populations. “When lake level increases, the water inundates the marshes and the vegetation along the lake, and this serves as a nursery ground for the fish,” Jamu said. With low lake levels, these nurseries are disappearing, a problem amplified by the further loss of river spawning grounds to siltation. In recent years the lake has also experienced increasingly frequent fish kills, but researchers are struggling to isolate the exact causes. In addition to losing habitat to erosion, new irrigation is aimed at seasonal wetlands in an effort to make them productive year round. “Wetlands make the water stay longer in the land before it goes to the lake, so anything in terms of nutrients either gets absorbed in the grass or dissipates in the soil. So that function, again, is lost,” Jamu said. 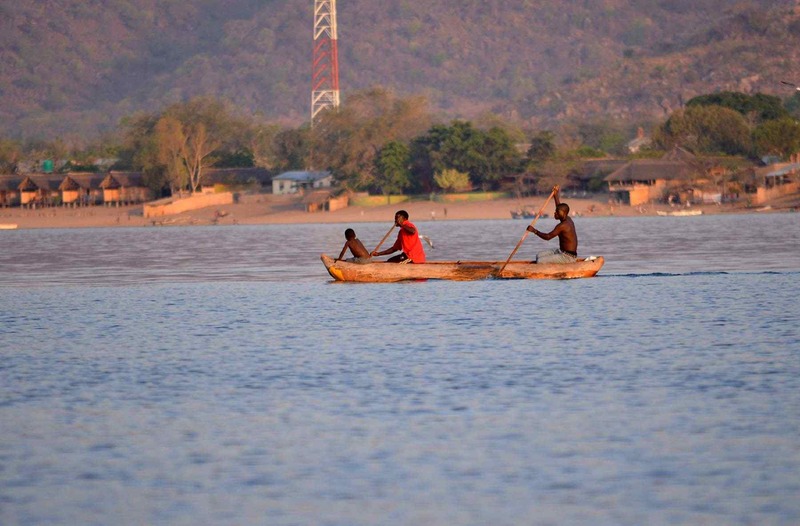 With the constant goal of moving out of poverty, many of Malawi’s economic sectors look to capitalise off the lake, the country’s one true resource. However, funding for research on the impacts of development around the lake often comes from foreign governments and is conducted by international scientists. Jamu said the lake can be protected, but only once Malawi’s own government commits to monitoring the lake and its catchment area adequately. “I think it’s not a dream. It’s about setting priorities,” he said. Mark Olalde is an American environmental journalist working on a mentorship programme with the Oxpeckers Centre for Investigative Environmental Journalism. Lake levels: click here to see data from a US government satellite that tracks lake levels around the world. To see how climate change is affecting Southern Africa, use the Oxpeckers ClimaTracker app here.